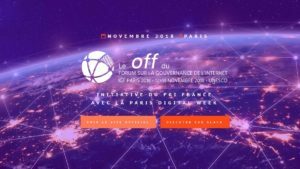 Are my trip and my stay organized by the Internet Governance Forum? No, each participant must plan, book and pay its own trip and stay in Paris. You may want to visit the Paris Convention and Visitor Bureau website in order to plan your trip. For any visa information, please contact the French Ministry of Foreign Affairs. You can also use the individual help plateform for visas delivered by the French Ministry of Foreign Affairs.